Labour is the pinch point preventing companies from growing nation-wide — or even maintaining current production levels. 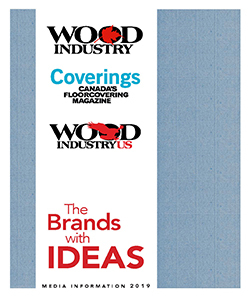 Readers expect Wood Industry to offer fresh perspectives on top challenges, and Wood Industry delivers, year after year. 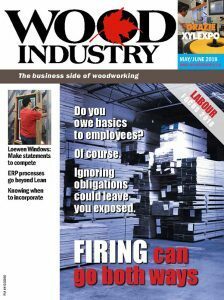 Regular coverage includes Law, economic briefs, Filings, new products, our popular shop profiles and Wood Industry’s unique and talked-about editorial comments. The key to marketing success for 2019 is to start a program now! Contact us to discuss marketing options that work. Align your brand with success; join the savvy advertisers that book space around content that readers actually read and enjoy. Join the suppliers building market share through Wood Industry and Wood Industry US! Contact me today to discuss your promotion strategy for the busy 2019 show season. March-April Wood Industry closes March 11! Marketers: Subscribe to Supply Side, Wood Industry’s monthly e-letter written specifically for suppliers to Canada’s vibrant wood-processing industry. It’s free, and you may opt out at any time — simply sign up here. 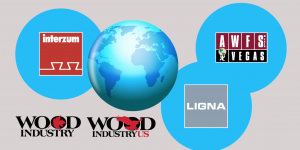 Wood Industry’s readers consistently express interest in product news from suppliers. In response, we now offer sponsored e-blasts. The e-mail will be clearly marked on top as coming from W.I. Media (i.e., Wood Industry, or Wood IndustryUS) to help identify your message as being from an industry-friendly supplier that cares about the customer. There will be a maximum of two slots per month, and they will not go in the same week as the regular, scheduled e-letter for which we have become known. The slots will be allocated on a first-come/first-served basis, and suppliers may reserve one blast, two blasts in a month, or reserve one blast or two blasts for a year, etc. The cost will be $1,200 Cdn. for Canada blasts and $1,200 US for American blasts. Contact is Stephen King at 905-703-6597. We know advertising is expensive, and we do what we can. We have not had a meaningful raise in rates for 20 years. However, for an introductory period, we can provide an attractive, substitute rate for the case studies, only. The manufacturers are clear. They want to read about their peers that have installed your machinery or supplies. You can speak to Steve King about details, but the rates will be one-time rates for advertorial and will not be part of display ad rates, discounts or programs. Wood Industry will do the writing for you, if you wish, for an additional $1 per word.The advertorial will be labeled, as is standard in magazines, and will tell the story of who bought the product, what challenges they faced before the purchase, why they made the choice they did and what the results have been. You can include contact information about your company and your website, but no sell lines, prices, starbursts, “specials” or other display-ad elements. Contact Steve King for rates and more information today! 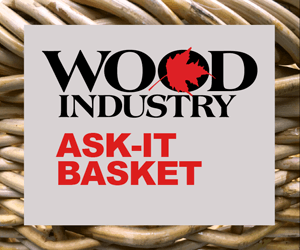 Wood Industry is the REAL magazine for Canada’s secondary wood-products industry. REAL profiles of real people doing real things in real time. Real photos. Real-life business management features. Original content. Actual readers and trustworthy circulation figures. Wood Industry.